Ultra-runner Dean Karnazes is famous for, among other things, running a marathon on every continent in the world. It’s a wild feat for anyone, even someone of Karnazes’ legendary condition with years of experience. But a 15 year old pulling off the same feat? Now that’s really crazy. Earlier this year, Canadian native Kristen De Sousa completed seven marathons, one on every continent, in 88 days. At 15 years old, she is barely a year older than the record holder for the youngest person to complete this daunting task. When De Sousa first started toying with the idea of completing the challenge, she wasn’t even conditioned enough to finish her school 800-meter challenge. “It started with my mom and her friends talking about doing a marathon challenge. They offered the idea to me and my first response was, ‘Absolutely no way!’ But the thought never left my mind for weeks, this was such an amazing opportunity and I knew I would regret it if I didn’t take advantage,” De Sousa said in an interview with the Ellen Degeneres Good News Blog. De Souza’s commitment stemmed from a very unselfish place. Knowing there were a lot of kids that were nowhere near as fortunate as she was, she wanted to do something to give back by raising funds for Children of the Mountain, an organization dedicated to supporting the education of children in the poorest areas of Nepal. 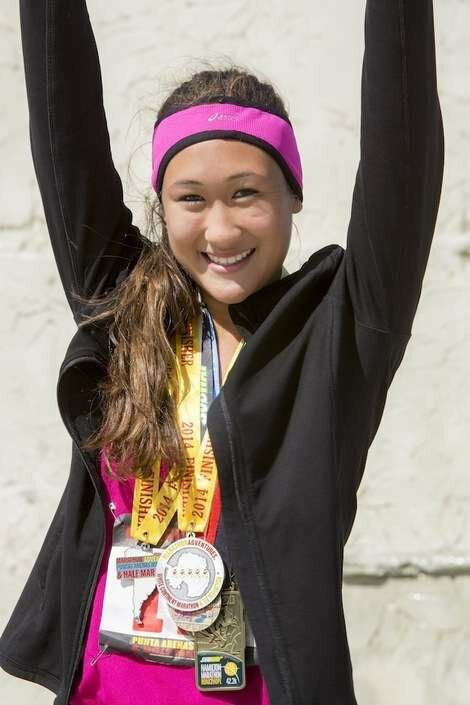 When she would hit a wall during her marathons those kids were what inspired her to finish. “I never thought I’d be able to do something like this. I just look forward at the goal, I know that if I finished this I would help a lot of kids that were in need, so that’s what pushed me through the wall,” said De Sousa on City TV. It wasn’t easy to get prepped to run a marathon, let alone seven. De Sousa trained for at least five days a week, which included speed sessions, interval training, and eventually long runs up to 19 miles. Pretty impressive for someone who struggled to finish a half-mile earlier in the year. Training for the marathons weren’t the only roadblock in accomplishing her goal. For several of the marathons, De Sousa had to get special permission to compete at all since the typical age limit for competing in a marathon is 18. In Europe, the minimum age is typically 20, five years older than De Sousa. 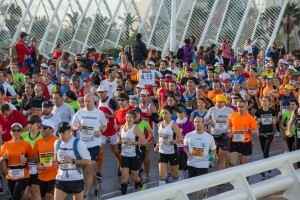 Once De Sousa received permission to sign up for the races, her goal became more manageable – well, except for those tiny tasks of making travel arrangements to compete in the seven different marathons on seven different continents, and the freezing cold temperatures and other difficulties that come with running a marathon in Antarctica. “It was minus-18 degrees Celsius. We weren’t prepared for that at all. The terrain was really tricky, there was snow and ice and gravel and rocks, and then there were tons of hills,” said De Sousa of the arctic terrain. Now that she has raised over $6,000 for Children of the Mountain, and completed an amazing personal feat, De Sousa is back to wanting to be a teenager. After spending some time healing and recovering, De Sousa is looking forward to doing races that are more fun and less strenuous, including some fun runs, and a glow-in-the-dark and Disney themed marathon.